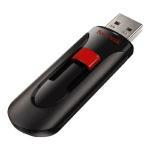 Find SanDisk products online and buy from the best online shops in New Zealand. It is almost impossible to imagine that any firm started only back in 1988 could be a massive global industry today. In such a short period of time, however, this is precisely what has happened with SanDisk. This is a company that has a presence in almost any home on the planet thanks to its creation of and innovation with flash storage and data devices. It is a company that sells products in more than 100 countries, through more than one-quarter of a million retail outlets and which is worth tens of billions of dollars. And it all started with a small idea...a very, very small idea. It was 1988, and three colleagues involved in computer data storage (one worked for Intel, one for Hughes Electronics, and one was an independent researcher) came up with a novel idea. They had formed a company known as SunDisk (soon to be renamed to SanDisk) in order to design removable memory that they intended to offer up to Kodak (the camera manufacturer) for its recently developed digital cameras. Interestingly enough, the good sense of the product was instantly recognized by Kodak, which said it would gladly buy the merchandise, but it wanted exclusive rights to the memory. The three colleagues decided to turn the offer down, and yet the technology began to grow. This is precisely why the designer of the original SanDisk, Dr. Eli Harari did not want anyone to have an exclusive hold on the technology - he was hoping that it would grow and develop as an industry in itself. Rather than allowing Kodak to lock in on the tech for itself, SanDisk was able to introduce it to the broader market, and things just took off from there. Today SanDisk has patents for more than 4,900 products. This is because the "flash memory" that it uses is very flexible and capable of being used in everything from smartphones to larger computers. It is considered one of the best firms in the world, and for many different reasons. Its innovative attitude is one reason, with Reuters naming it among the world's top 100. It also has a strong investment portfolio that has given it recognition on a global scale. However, its corporate responsibility is worthy of recognition, too. To date, SanDisk has given out more than $16 million to more than 800 charitable groups. It has won the Maala Award in Israel for three consecutive years, and it is a constant recipient of industry awards and recognitions on a year round basis. In addition to acquisitions and partnerships, the company also continues to innovate through its unique supplier management approach. In essence, the firm is committed to protecting the environment. To do so, they seek to purchase the many materials needed for production from partners equally committed to the same goals. They have implemented a code of conduct, they seek to eliminate the use of any conflict materials in their production of memory solutions, and have a firmly established green policy. As one of the most progressive and innovative firms of this century, SanDisk has a place firmly established in the consumer and business market. It is an essential company and yet one that has unique policies that strive to foster a healthier planet and even competitive growth within its own technology and industry. When I clicked on the companies it was an 8gb sandisk usb 2.0 cruzer. Not 128 gb. Not impressed.